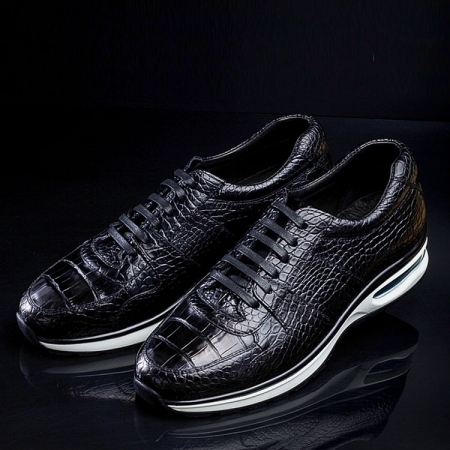 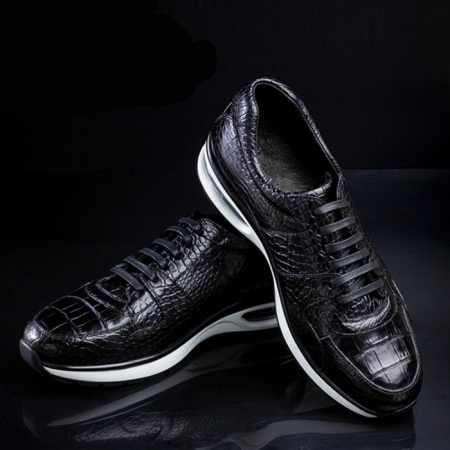 Make a fashion statement by wearing this pair of alligator shoes brought to you by BRUCEGAO. 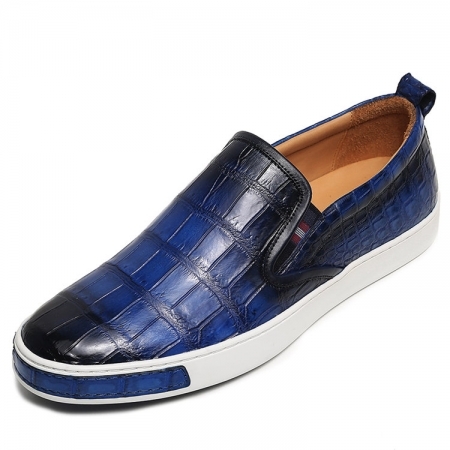 It has a thermoplastic rubber outer sole, which ensures a firm grip. Moreover, it has a lace up fastening that makes it convenient to wear. 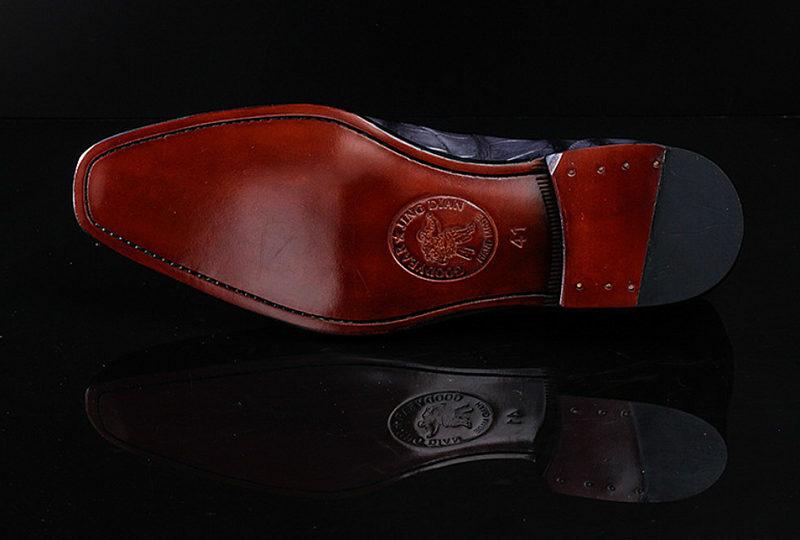 The soft footbed further ensures comfort to your feet. 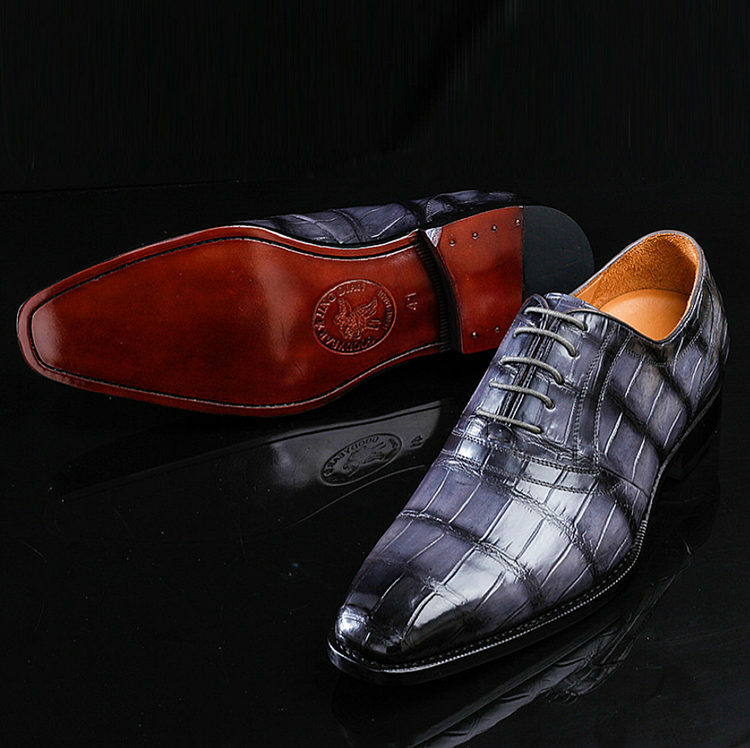 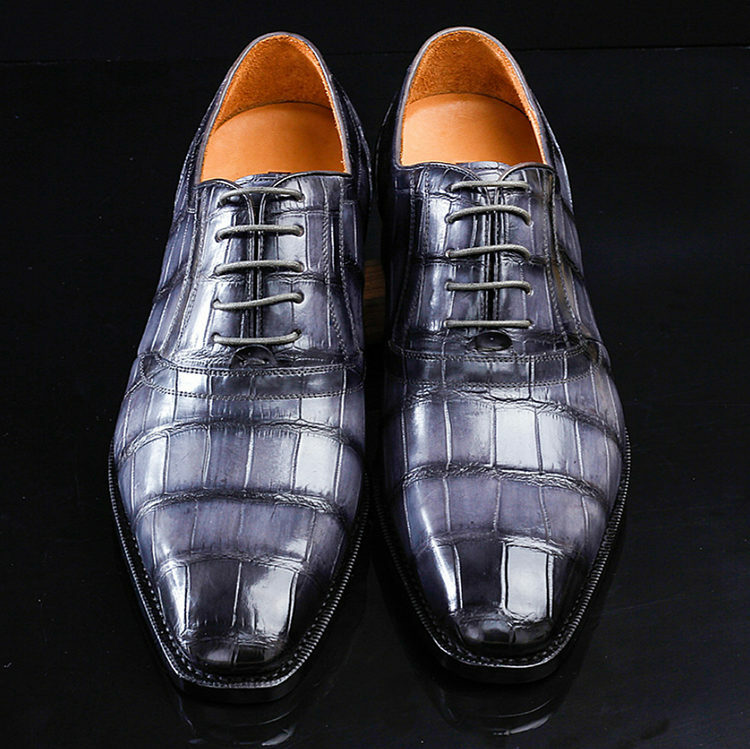 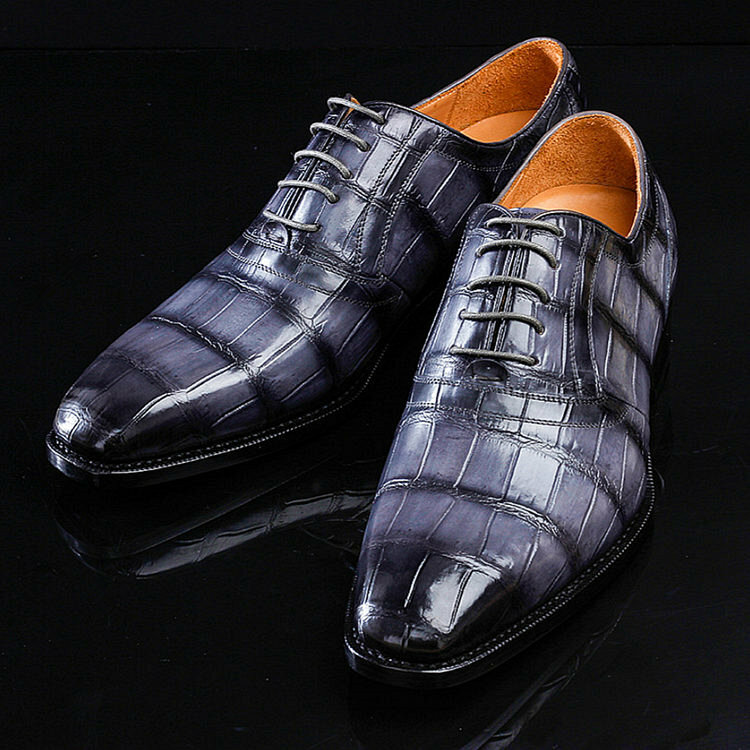 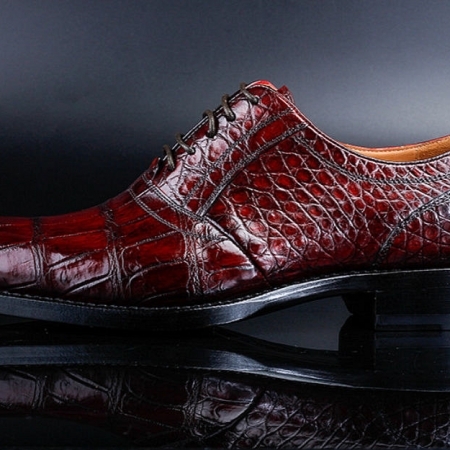 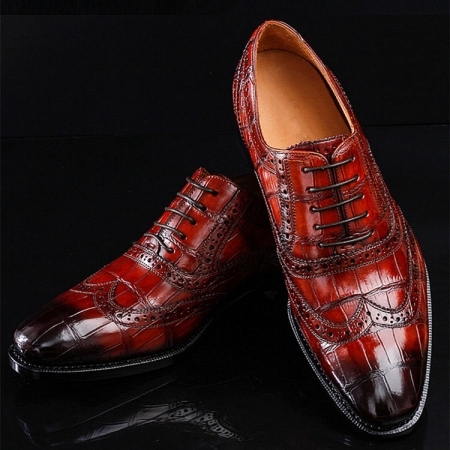 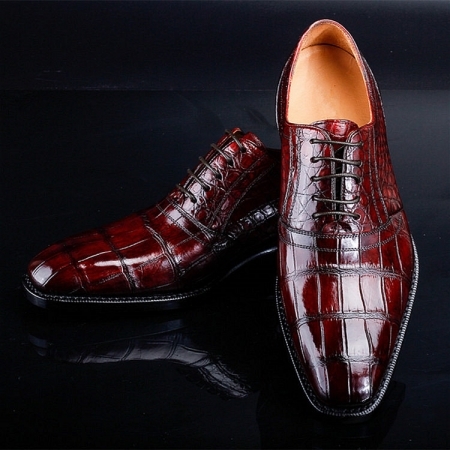 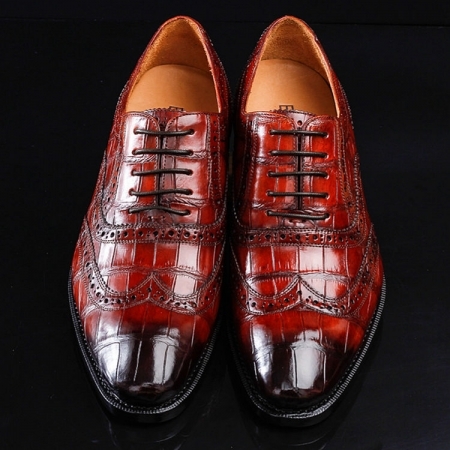 Impress your peers by wearing this pair of handmade alligator shoes, which has been designed to perfection. 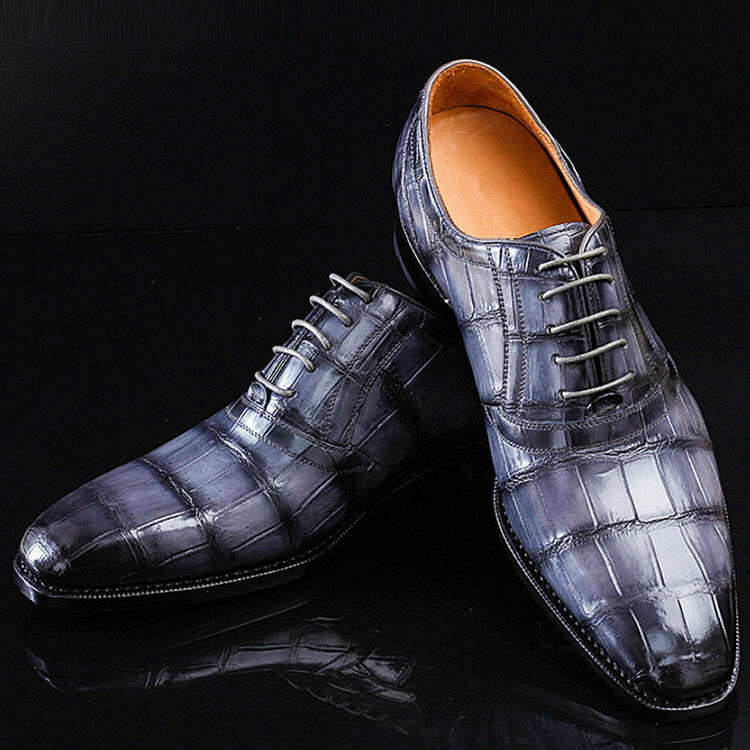 You can team it with a pair of trousers and a full sleeve shirt to complete your corporate look.